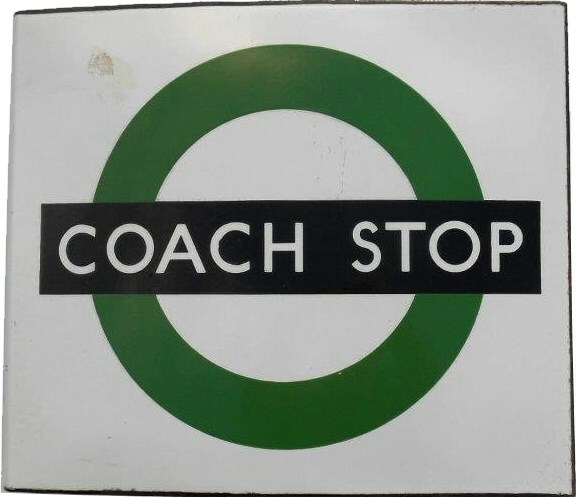 Lot 114 London Transport (LT) Double Sided Enamel Bus Sign "COACH STOP". Good condition. 18" x 15".